Welcome to the next generation of home performance products! Now you can change your thermostat, receive instant notifications of fire dangers in your home, and keep an eye on the front door for a package delivery. All this is possible through a simple app. Nest and Google partnered to create several products for modern families. 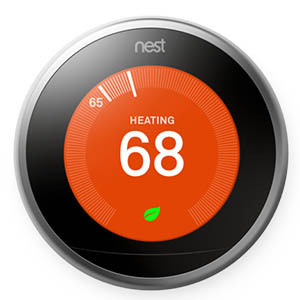 First, Nest Thermostats program themselves to keep your home comfortable. 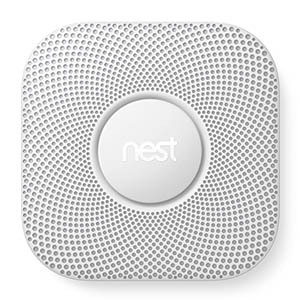 Next, Nest Protect alerts you to smoke or carbon monoxide in your home–even when you are away. 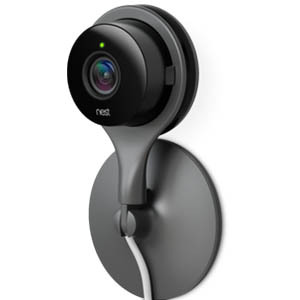 Finally, indoor and outdoor Nest cams notify you whenever they sense activity. They can tell you when your package is delivered, when you baby wakes up from their nap, or if you dog is on the couch again. Nest’s easy-to-use app helps you take care of your home even on busy days. A self-programming thermostat that keeps you cooler with less energy. Smoke and Carbon Monoxide alarms to keep your family safe. Monitor your home when you are away with indoor and outdoor cameras. With more and more smart home products available, we carefully thought about which brand would most benefit our customers. We chose to offer Nest products because they are well-designed, easy to use, and compatible with dozens of other smart devices. Take a look at what Works With Nest to see how easy it is to automate your life.